Nurses such as RCNi award winners Susie Scales and Amy Sims must be encouraged to thrive. 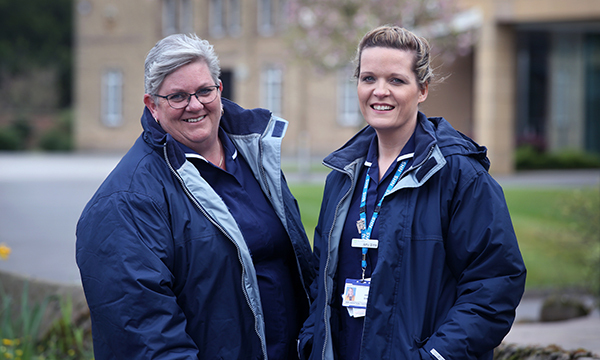 The cover of this month’s issue of Nursing Management features Susie Scales and Amy Sims, who together won the leadership category of the prestigious RCNi Nurse Awards. The two nurses set up a school-age immunisation programme from scratch and launched it within six months. They are now responsible for vaccinations throughout Derbyshire. In the run up to the award ceremony last month, their work was described as an example of ‘extreme leadership’: a fantastic achievement. Isn’t this what good healthcare services are all about: bringing together different skills and perspectives to meet a perceived need, and then collaborating to see service improvement? This issue of Nursing Management comes out just a few days before the general election. I’m not going to tell you how to vote; I’m sure you don’t need me to help you make up your minds. I will say though that the Conservatives won over few voters through their decision not to attend RCN congress in Liverpool last month. Labour and Liberal Democrat leaders Jeremy Corbyn and Tim Farron showed up, but no Theresa May and no Jeremy Hunt. There was plenty of talk in and outside the main conference hall about manifesto promises to keep nursing a vibrant profession, from reinstating bursaries to scrapping the 1% pay cap. There was also much talk of nursing shortages pre- and post-Brexit. Pay, of course, was among the big topics, with the RCN now planning a summer of protest activity followed by an industrial action ballot if the next government fails to scrap the cap. Small wonder really, when the cap is seen as a failure to acknowledge, let alone reward, the great work nurses are doing throughout the country; work such as that by those exemplary nursing leaders, Susie Scales and Amy Sims.